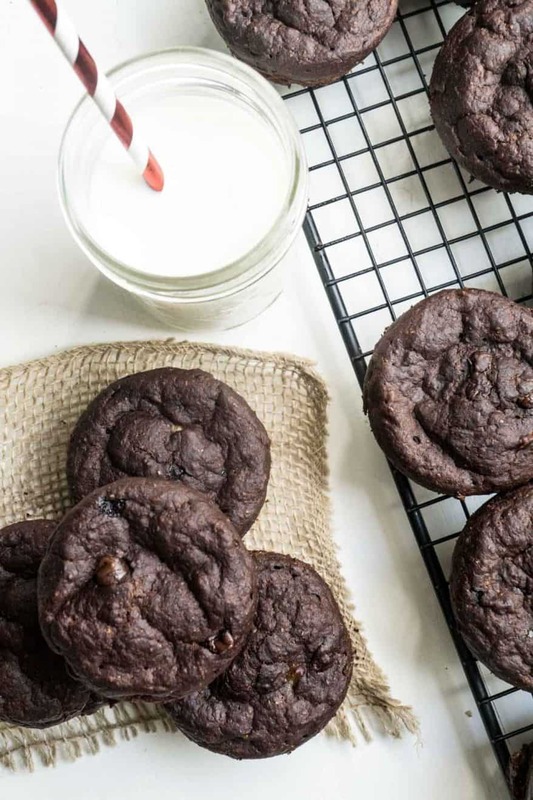 Much healthier than those giant double chocolate muffins found in the grocery store bakery! 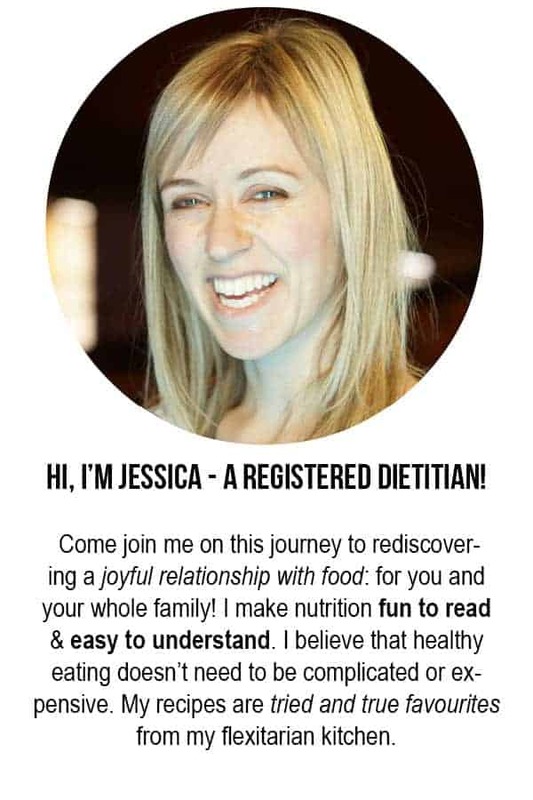 Eggless, high fibre, & great for school lunches! One of the most controversial things I’ve posted on Facebook was about school policies for food allergies. It had recently been in the news that a school division in Montreal decided to lift a ban on peanuts and other anaphylactic food allergens. I applauded the decision, which was based on research that shows schools with peanut bans actually don’t have lowered rates of accidental exposure than schools who allow peanuts. Instead, I suggested schools should switch their focus to practices that really DO help protect children, such as proper handwashing. So why am I bringing it up again? I must be a sucker for punishment (ie: hateful and rude comments). I mean… not really, but I have to point out that these muffins are school friendly! Unless your school is banning the other major allergens: milk, soy, fish, sulfites, etc…. Or taking this whole thing further and banning all the other foods that kids can be allergic to (which is all foods). So, we’re agreed then? If we take this food banning thing to the logical conclusion, we should BAN ALL FOOD FROM SCHOOL! Yes, yes, I’m being ridiculous. There’s definitely room to improve how school environments can be made safer for ALL children, but you still need to work with the current situation, and a lot of schools or classrooms have peanut/nut/egg-free policies in place. So these muffins are a very smart choice. 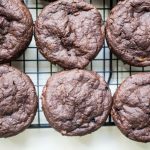 A much healthier alternative to those giant double chocolate muffins found in the grocery store bakery! Grease three muffin tins. Put aside. In a small bowl, whisk together the ground flax and water. Allow to sit for 5 minutes. Meanwhile, mash 6 bananas. Place them in a large bowl with the yogurt, canola oil, brown sugar, coffee (if using), vanilla, and flax/water mix (when it’s ready). Add in the flour, cocoa, baking soda, and salt. Stir JUST to combine. Scoop into muffin tins (about ½ cup each). 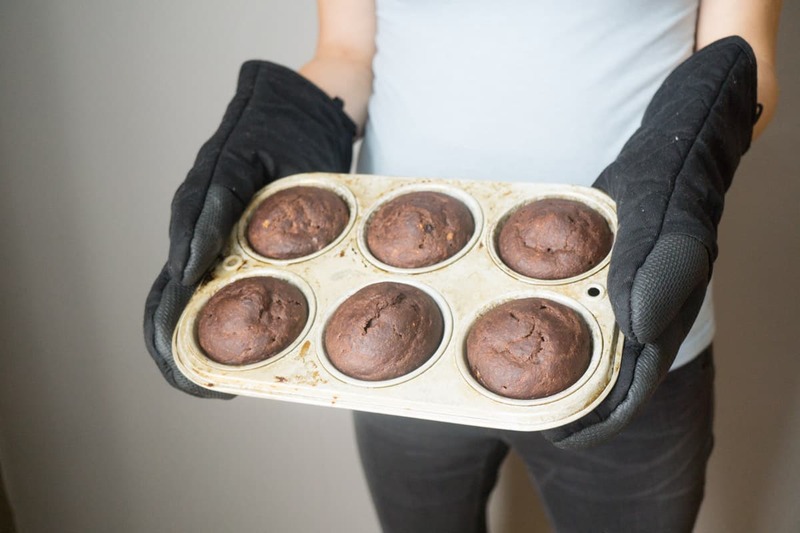 Allow to cool for 5 minutes then loosen the edges with a plastic knife and transfer muffins to a cooling rack. 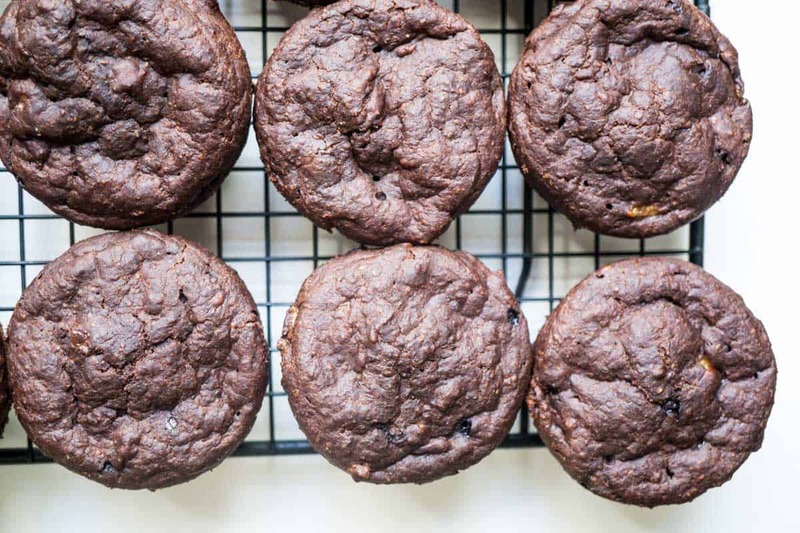 The recipe can also be cut in half to make 12 larger muffins. Thanks! Looks great. Been looking for a way to use the bag of ground flax I found in the pantry. Is that a muffin top pan? Looks like jumbo muffins but the nutrition info is for 30 servings? It’s a regular size muffin pan! This one just holds 6 instead of 12. Maybe it’s the angle of the photo that makes it look larger? ?